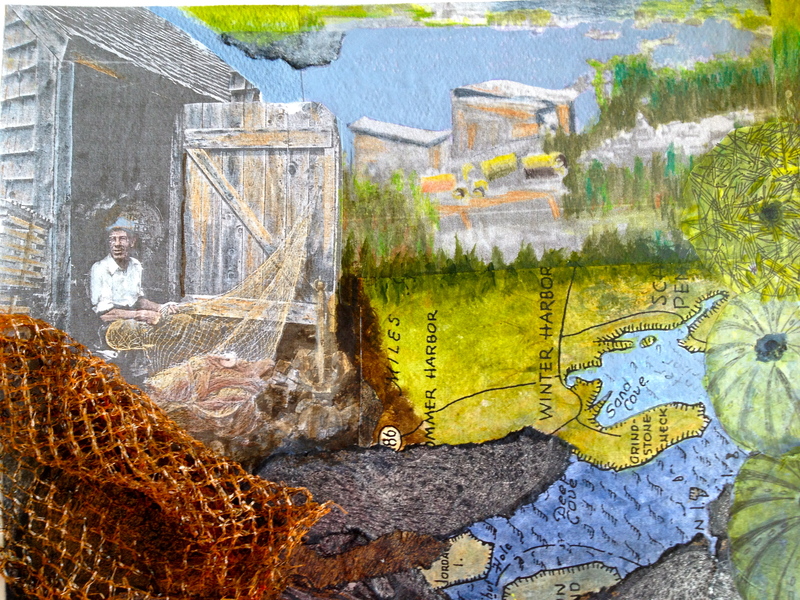 If you are interested in learning more about creating mixed media art I invite you to join me at Schoodic Arts for All during the Festival. The following classes are available. I will work with you to create a memory. #72 Introduction to Mixed Media This class will introduce the basics of design and introduce various materials used in the process. You will create a piece in this class to be held Tuesday, August 6 from 10am until noon. cost $28.00 There are also two other Mixed Media classes. Mixed media Architect-#74 and Ride the Mixed Media Dragon # 78. For more information go to www.schoodicartsforall.org or call 207-963-2569.